Alba Heritage Trust, a local Inverness based charity, is seeking opinions from the local community and interested individuals and groups from other localities, to assess whether there is a demand to establish a Gaelic Language and Cultural Centre in Inverness. 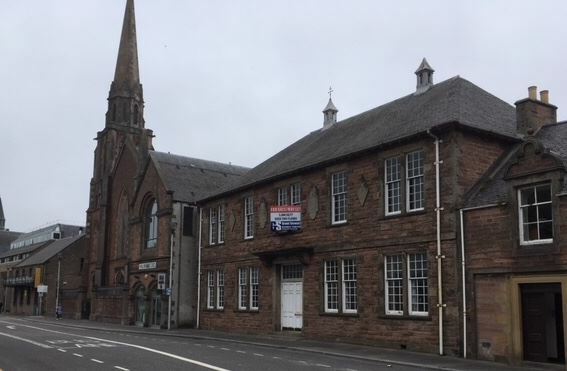 A local heritage building on the riverside, currently on the market, is being considered as a potential location for such a centre. In addition, local agencies and community groups involved in Gaelic language development activities will also be interviewed to seek their respective opinions and support. Desk based research will complete the study by the end of July 2018. The idea of the cultural centre is not new and has been discussed over the years by many groups and individuals, but no targeted research has taken place until now. Some suggestions for what could potentially be available in the centre include a café, book/gift shop, performance space, workshop and exhibition space, Gaelic language classes and an informal social meeting place for Gaelic speakers, learners and individuals interested in the Gaelic heritage of the Highlands and Islands. This survey work is supported by Bòrd na Gàidhlig and The Architectural Heritage Fund. You can access the survey online at the web address given above or if you would like a hard copy please contact Mary Riddoch at Impact Hub Inverness on 01463 715533 or by email: mary.riddoch@impacthub.net The survey is also available in Gaelic. Copies will be made available at the local mod at Eden Court Theatre this Friday 15 June.